The current historical and critical literature concerned with leprosy has examined, in various geographical and colonial contexts, the relative strengths or weakness of colonial medicine and the role it played as an agent of colonialism (Vaughan 1991, Deacon 1994, Worboys 2000, Buckingham 2002, and Anderson 1998 and 2011). In each of these instances, a history of leprosy becomes an entry into an analysis of the workings of colonial power, and in several of the same, colonial medicine looks weak and complicit, or at the very least, contingent, seizing the opportunity presented by leprosy to enhance its professional status and authority. At the same time, colonial medicine is at the service of, or is limited by, specific colonial agendas. Alternatively, but sometimes coincidently, many of these studies also draw on leprosy as symbolic of the colonial project (Vaughan 1991, Smith Kipp 1994, Anderson 1998, Cueto 2004, Edmond 2006, Moran 2007). Some of these studies depend on Goffman’s notion of the total institution that fashions new identities, accomplishing in microcosm what colonial desire wished to achieve on a larger scale. The work on leprosy and missionaries in Africa and specifically Nigeria explores the connections between missionary work against leprosy with local, governmental, and international governance and its complex interplay (Manton). In assessing the continuing impact of leprosy policies as well as social responses to the disease, further studies have focused upon the social stigma experienced by the leprosy affected, particularly those who were isolated and segregated (Gussow 1989). These studies attempt to account for the formation of colonies and leprosaria by explaining stigma. Literature on the history of the stigma attached to leprosy argues that it is either continuous with Biblical/Christian stigma or reinvented and reinvigorated at the end of the nineteenth century (Skinsnes 1970, Gussow 1989). The literature for Thailand examines stigma from an anthropological point of view. This includes the trajectory of stigma against leprosy from something that was not very strong to an increasingly powerful symbolic association that persists in spite of improved treatment and the disappearance of the disease. It also includes studies of attempts to destigmatise the disease and makes some interesting conclusions about the orthodoxies around stigma as it persists in language (Navon 1996, 1998). There are also studies that highlight the impact of economic imperatives on leprosy policies in specific colonial contexts (Moblo 1996, Robertson 2001). The scholars of leprosy in the medieval world have demonstrated the extent of medieval knowledge of the disease and also dispelled some of the erroneous representations of medieval leprosy that were perpetuated in the nineteenth century. Research on leprosy and slavery in Suriname and Colombia respectively (Snelders 2013) and (Landers et al 2015) promises exciting and interesting analyses of some of the earliest responses to the disease as it was transported into the new world. The critical literature on Hawaii examines the contribution of the mythology of leprosy to stigma and policy as well as examining the economic impulses underpinning the plantation economy that produced those polices. Area studies have further contributed to the history of leprosy in Spain, Portugal, China, Japan, Korea, the Pacific, India, Thailand, Malaysia, Indonesia, the Philippines, Africa, Ethiopia, Uganda, Nigeria, South Africa, and the Americas. Many of these have taken a leprosy institution, asylum, leprosarium, or colony as a focus (Bernabeu-Mestre et al, Cruz, Kah Seng, Smith Kipp, Anderson, Deacon, Kebede, Manton, Stanley-Blackwell, White). The Spanish studies have connected charitable initiatives for people with leprosy in the old world and the influences of these practices in the new world. Leprosy’s symbolic power to generate benevolent support has also been explored. Studies of leprosaria in Spain and Portugal explore the disciplining of subjects within the restraints of a total institution. It would be useful to compare this with the work done in both Brazil (Monteiro) which focusses on the impacts of legislation on everyday lives of people and Colombia (Obregón) which investigates the power of the state and the uses it makes of leprosy to explore resonances in terms of governance, surveillance, and the appropriation of the symbolic power of leprosy. The literature on leprosy in China produces an archaeology and genealogy of the nosology of leprosy and the social construction of the leprous body throughout the Imperial period, as well as tracing the interplay between Chinese and Western approaches to the disease. In this study, as in several others, leprosy is symbolic of the state of the body politic. The critical literature in English on the history of leprosy in Japan examines the shifting discursive formations around the disease that resulted in the draconian measures instituted by the state. It also examines the unique leprosy literature of the leprosaria in Japan that both expressed the grief of diagnosis and confinement and also was used for hegemonic purposes to maintain the status quo of state-legislated isolation. There is also a significant literature around the ethics of leprosy policies. The literature on leprosy in Korea also involves an examination of the policies, economies, national interest, and institutions that supported isolation and stigma. The work on leprosy in the Pacific focusses on the testimonies and memories of people who have been confined and some of those who have worked in the field. Like the critical literature on leprosy policies and leprosy colonies in Malaysia, which also includes testimony, this research represents a unique collection. The work in India focuses on policies and institutions in the colonial period as well as shifts in patient activism that occurred with changing medical technologies. Both Kakar’s and Buckingham’s work in this area represent key texts. Some scholarly works on leprosy. Michael W Dols, “The Leper in Medieval Islamic Society” Speculum 58.4 (October 1983): 891-916. Luke Demaitre, “The Description and Diagnosis of Leprosy by Fourteenth-Century Physicians” Bulletin of the History of Medicine 59.3 (1984): 327-344. —–, “The Relevance of Futility: Jordanus de Turre (fl. 1313-1335) on the Treatment of Leprosy” Bulletin of the History of Medicine 70.1 (1996): 25-61. Samuel Mark, “Alexander the Great, Seafaring, and the Spread of Leprosy” Journal of the History of Medicine and Allied Sciences 57.3 (2002): 285-31157 (2002): 285-311. Carole Rawcliffe, Leprosy in Medieval England (Suffolk, UK and Rochester, NY; Boydell & Brewer Ltd, 2006). Luke Demaitre, Leprosy in Premodern Medicine: a Malady of the Whole Body. (USA: JHU Press, 2007). E M Toral and M T Lopez Dias, “The Influence of the San Lázaro Hospital of Seville in the Creation and Management Techniques of the ‘Lazaretto’ Hospitals in the Americas” International Journal of Leprosy 65. 2 (1997): 252-55. J Bernabeu-Mestre and T Ballester-Artigues, “Disease as a Metaphorical Resource: The Fontilles Philanthropic Initiative in the Fight against Leprosy 1901–1932” Social History of Medicine 17/3 (2004): 409–421. Alice Cruz, “The Hospital-Colónia Rovisco Pais: the Last Portuguese Leprosarium and the Contingent Universes of Experience and Memory”, História, Ciências, Saúde-Manguinhos 16.2 (2009): 407-431. 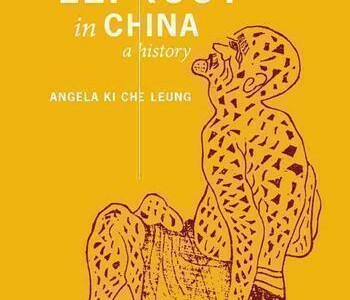 Angela Ki Che Leung, Leprosy in China: A History (USA: Columbia UP, 2008). Susan Burns, “From ‘Leper Villages’ to Leprosaria: Public Health, Nationalism and the Culture of Exclusion in Japan”, in Isolation: Places and Practices of Exclusion, edited by Carolyn Strange and Alison Bashford (London and New York: Routledge, 2003): 104-18. —–, “Making Illness into Identity: Writing ‘Leprosy Literature’ in Modern Japan” Nichibunken Japan Review (2004): 191-211. —–, “Rethinking Leprosy Prevention: Entrepreneurial Doctors, Popular Journalism, and the Civic Origins of Biopolitics” The Journal of Japanese Studies 38.2 (2012): 297-323. Jo Robertson, “The Leprosy-Affected Body as a Commodity: Autonomy and Compensation”, in The Body Divided: Human Beings and Human “Material” in Modern Medical History, edited by Sarah Ferber and Sally Wilde (Farnham, Surrey, United Kingdom: Ashgate Publishing, 2011): 131-164. Dorothy McMenamin, Leprosy and Stigma in the South Pacific: A Region-by-Region History with First Person Accounts (USA, North Carolina: McFarland & Co, 2011). —–. “Recording the Experiences of Leprosy Sufferers in Suva, Fiji” The Fiji Social Workers Journal, 1.1 (2005): 27-32. Pennie Moblo, “Blessed Damien of Moloka’i: The Critical Analysis of Contemporary Myth”, Ethnohistory 44.4 (1997): 691-726. Sanjiv Kakar, The Patient, The Person: Empowering the Leprosy Patient, New Delhi: Danlep, 1992. Sanjiv Kakar, “Leprosy in British India, 1860-1940: Colonial Politics and Missionary Medicine” Medical History 40 (1966): 215-230. Sanjiv Kakar, “Medical Developments and Patient Unrest in the Leprosy Asylum, 1860 to 1940” Social Scientist 4-6.24 (1996): 62-81. Jane Buckingham, Leprosy in Colonial South India: Medicine and Confinement, (Basingstoke, Palgrave, 2002). Jo Robertson, “Anxieties of Imperial Decay: Three Journeys in India” in In Transit: Travel, Text, Empire, edited by Helen Gilbert and Anna Johnston (NY: Peter Lang, 2002). Jo Robertson, “In Search of M. Leprae: Medicine, Public Debate, Politics and the Leprosy Commission to India”, in Economies of Representation: Colonialism and Commerce, edited by Helen Gilbert and Leigh Dale (UK: Ashgate, 2007). Liora Navon, “Cultural Notions versus Social Actions: The Case of the Socio-Cultural History of Leprosy in Thailand” Social Analysis: The International Journal of Social and Cultural Practice 40 (1996): 95–119. Liora Navon, “Beggars, Metaphors, and Stigma: A Missing Link in the Social History of Leprosy” Social History of Medicine (1998) 11 (1): 89-105. Ean Nee Tan and Joshua Wong, trans. Khor Jiak Liang, The Way Home: The Isolated Emotional World of Former Leprosy Patients and Their Descendants (Kulala Lumpur, Malaysia: Perpustakaan Negara, Malaysia, 2012). Loh Kah Seng, Making and Unmaking the Asylum: Leprosy and Modernity in Singapore and Malaysia. Strategic Information and Research Development Centre, 2009. Rita Smith Kipp, “The Evangelical Uses of Leprosy.” Social Science & Medicine 39.2 (1994): 165-178. Warwick Anderson, “Leprosy and Citizenship” Positions 6.3 (1998): 707-730. Warwick Anderson, Colonial Pathologies: American Tropical Medicine, Race, and Hygiene in the Philippines (Durham and London: Duke UP, 2006). Megan Vaughan, “Without the Camp: Institutions and Identities in the Colonial History of Leprosy” in Curing Their Ills: Colonial Power and African Illness (Stanford University Press, 1991). Harriet Deacon, “Leprosy and Racism at Robben Island.” Studies in the History of Cape Town 7 (1994): 45-83. Harriet Deacon, “Racial Segregation and Medical Discourse in Nineteenth‐Century Cape Town.” Journal of Southern African Studies 22.2 (1996): 287-308. Harriet Deacon, “Landscapes of Exile and Healing: Climate and Gardens on Robben Island.” The South African Archaeological Bulletin (2000): 147-154. Harriet Deacon, “Racism and Medical Science in South Africa’s Cape Colony in the Mid-to Late Nineteenth Century” Osiris (2000): 190-206. Michael Worboys, “The Colonial World as Mission and Mandate: Leprosy and Empire, 1900-1940” Osiris (2000): 207-218. Mesele Terecha Kebede, Leprosy, Leprosaria and Society: A Historical Study of Selected Sites 1901-2001 (Addis Ababa: Armauer Hansen Research Institute, 2005). John Manton, “Global and Local Contexts: the Northern Ogoja Leprosy Scheme, Nigeria, 1945-1960” História, Ciências, Saúde-Manguinhos 10 (2003): 209-223. —–, The Roman Catholic Mission and Leprosy Control in Colonial Ogoja Province, Nigeria, 1936-1960. Diss. University of Oxford, 2004. —–, “Administering Leprosy Control in Ogoja Province, Nigeria, 1945–67: A Case Study in Government–Mission Relations” Clio Medica/The Wellcome Series in the History of Medicine 80.1 (2006): 307-331. —–, “Leprosy in Eastern Nigeria and the Social History of Colonial Skin” Leprosy Review 82.2 (2011): 124. —–, “Testing a New Drug for Leprosy: Clofazimine and Its Precursors in Ireland and Nigeria, 1944–19661” Evidence, Ethos and Experiment: The Anthropology and History of Medical Research in Africa (2011). Laurie C C Stanley-Blackwell, “A Singular Obsession: New Brunswick’s Leprosy Doctor” International Journal of Leprosy and other Mycobacterial Diseases 61 (1993): 619-619. —–, “The Mysterious Stranger and the Acadian Good Samaritan: Leprosy Folklore in 19th-Century New Brunswick” Acadiensis (1993): 27-39. —–, “A Singular Obsession: New Brunswick’s Leprosy Doctor” International Journal of Leprosy and other Mycobacterial Diseases 61 (1993): 619-619. Brittany Kula and Joan L Robinson, Letter to the Editor, “Mistreatment of Immigrants: the History of Leprosy in Canada” Leprosy Review 84 (2013): 322-4. Diana Obregón, “The Social Construction of Leprosy in Colombia, 1884-1939” Science Technology Society 1.1 (1996): 1 1-23. Zachary Gussow, Leprosy, Racism and Public Health: Social Policy in Chronic Disease Control (San Francisco and London: Westview Press, 1998). Diana Obregón, “The State Physicians and Leprosy in Modern Colombia” in Disease in the History of Modern Latin America: From Malaria to AIDS, edited by Diego Armus (Durham & London: Duke U P, 2003): 130-157. Marcos Cueto, “Social Medicine and ‘Leprosy’ in the Peruvian Amazon.” The Americas 61.1 (2004): 55-80. Marcia Gaudet, Remembering Leprosy in America, (USA: U P Mississippi, 2004): 7-8. Michelle T Moran, Colonizing Leprosy: Imperialism and the Politics of Public Health in the United States, Studies in Social Medicine, (Chapel Hill, University of North Carolina Press, 2007). Stephen Snelders, “Leprosy and Slavery in Suriname: Godfried Schilling and the Framing of a Racial Pathology in the Eighteenth Century” Social History of Medicine 26.3 (2013): 432–450. Jane Landers, Pablo Gómez, José Polo Acuña and Courtney J Campbell, “Researching the History of Slavery in Colombia and Brazil through Ecclesiastical and Notarial Archives”, in From Dust to Digital: Ten Years of the Endangered Archives Programme, ed. Maja Kominko (Cambridge, UK: Open Book Publishers, 2015): 259-292. Tony Gould, Don’t Fence Me In: Leprosy in Modern Times. (London: Bloomsbury, 2005). Rod Edmond, Leprosy and Empire: A Medical and Cultural History (UK: Cambridge UP, 2006). Jo Robertson. “Leprosy and the Elusive M leprae: Colonial and Imperial Medical Exchanges in the Nineteenth Century”. História, Ciências, Saúde: Manguinhos: Leprosy: a Long History of Stigma 10 Supplement 1: (2003):13-40. Michael Worboys, “Was there a Bacteriological Revolution in Late Nineteenth-Century Medicine?” Studies in History and Philosophy of Science Part C: Studies in History and Philosophy of Biological and Biomedical Sciences 38.1 (2007): 20-42.